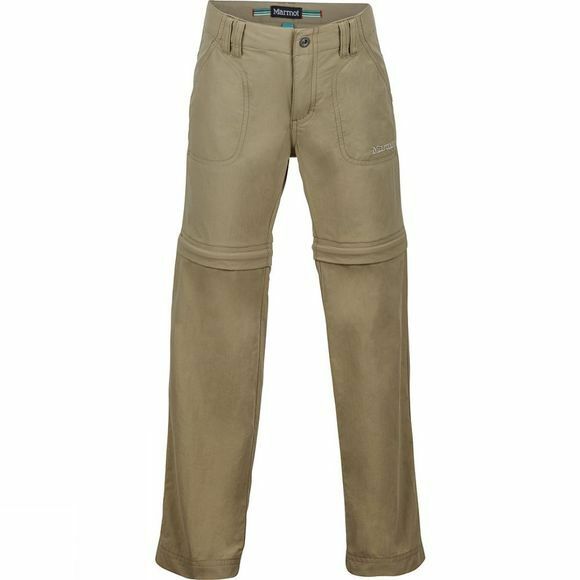 The Girl's Lobo's Convertible Pants from Marmot boast a UV protection factor of 30, making them ideal for any outdoor adventure the girls have in mind. The fabric is especially durable, breathable, quick drying and water repellent. 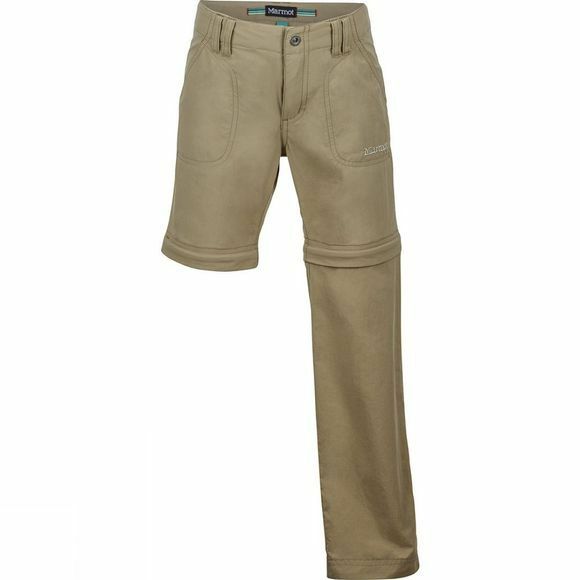 The stretch performance and articulated knees provide maximum freedom of movement and the legs can be zipped off to a nice pair of shorts in no time.